Physical heavy hitters Seventeen and Hwang Chi Yeol make a return to OH! Chart this week, but the top three might surprise you! In the digital category, MC the Max keeps on slaying with After You’ve Gone, scoring 43,841,510 points, which earns them first place yet again. Second place goes to Lee Sora, with her ballad Song Request featuring BTS’ Suga scoring 40,278,677 points. Finally, Paul Kim places third, scoring 38,824,496 points with his latest ballad Traffic Light. Seventeen takes first place in the physical category, selling 266,184 copies of YOU MADE MY DAWN, which completes the narrative from their previous 5th Mini Album, YOU MAKE MY DAY. Behind them, in slightly hot water this week with his Chinese fanbase, is Hwang Chi Yeol, selling 102,451 copies of The Four Seasons. Rounding out the top three is GFriend, who sold 10,453 copies of their second album Time For Us. OneHallyu was tasked in voting for their faves. As such, GFRIEND led the pack thanks to 32 strong dedicated fans. ARMYs supported Lee Sora by contributing to her score of 26 votes and helping her secure second place. Surprisingly, it seems boy group stans have become as rare as unicorns on OneHallyu, but Seventeen still managed to win third place with 20 votes. 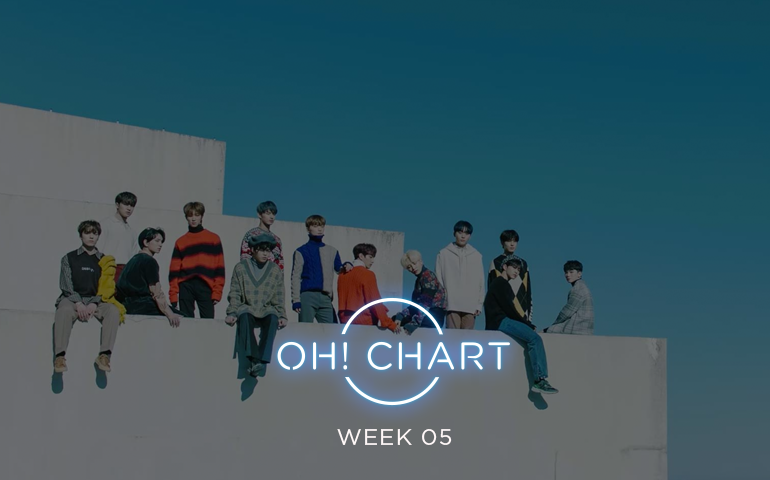 Overall, Seventeen takes their first win in the new year, with their overwhelming physical sales pushing them to the top. Lee Sora lands in second place thanks to huge digital points and likely a little edge in having BTS’ Suga feature on her song. MC The Max rounds out the top three, still staying extremely strong in digitals even though their release is now several weeks old. Seventeen is back! The title track, “Home,” expresses the desire to comfort a loved one. The emotional lyrics describe how any obstacle can be conquered by relying on each other. It’s a more mellow sound than what we’ve heard previously from Seventeen. What do you think about Seventeen’s growth? Let us know your thoughts below!